Gravitee is golf in space, using real world Newtonian Physics. A quick tutorial mode will help you learn the basics, but only the most skilled will unlock the 20+ bonuses throughout the ten levels of play. Click and drag ball to strike it. Instructions and tutorial in-game. You are an asylum-seeker, travelling from Aleppo, Syria to Athens, Greece. Avoid the enemies and make the right decisions. This game was created by 13 years-old students as part of their Service Learning activity. 1Quest is a roguelike, where you control a young adventurer who pursues an evil blood cult, after they abducts several children, including the princess of the kingdom!You got 7 days before he can start his evil ritual to summon an ancient demon from the sacrificing of the children. 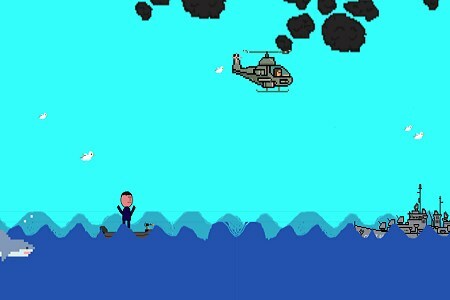 Each region of th..
Battalion Landing is a funny skill game, you have to save the zombie skydivers. Make sure that these zombies do not hit the cutters. Each level will become more difficult, can you save these zombies? Save more to earn more score. Explore the entire ancient tomb and save all these artifacts from the tomb robbers. Recapture the thrill of 80s arcades in this retro tribute to OutRun.Race through 10 different evening stages, choosing your own route as you go, to reach 4 different endings.Draft behind traffic to build up turbo.Unlock new difficulty levels.Upgrade your car so that you can tackle higher difficuly l..